Before you read Stella's memo to the 'new' couple, here's some gist I found out about Lanre. Lanre Nzeribe, owner of Deuces night club is reportedly a married man with children who takes pleasure in serial philandering. 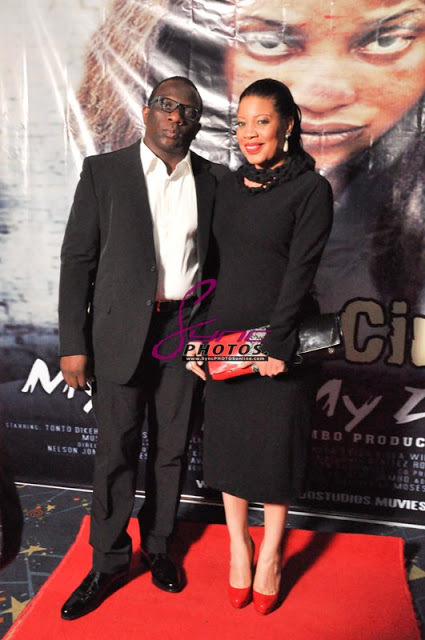 You see, Lanre seems to have a thing for actresses and has in the past been linked to Liz Benson (before she married her bishop husband), dated Grace Egbagbe - former director of sales and marketing at NTA and Folake Odutola, owner of now defunct Saga8 club in VI. His relationship with Folake reportedly ended on a bitter note with the latter locking him up after a messy fight. 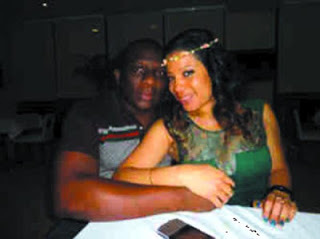 Tracing Lanre and Monalisa's relationship, unconfirmed reports have it that the two became friends while Monalisa was still married to ex -husband Segun Dejo Richards, a philanderer as well. The reports have it that this, amongst other reasons, was why Dejo resorted to battering Monalisa and made her life a living hell. Though this report remains unconfirmed, today, Lanre and Monalisa are definitely more than just platonic friends. 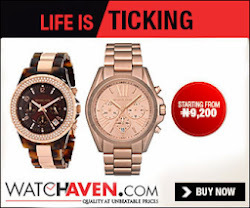 Even though the two have refused to confirm their public-secret relationship, sources close to the situation indicate that Lanre and Monalisa are very serious and are even considering tying the knot. Then, here's Stella Dimorkorkus's memo to Lanre and Monalisa. When the news broke out about 2years ago that Monalisa was in a neck deep Romance with Lanre Nzeribe, I did a follow up on that story and Monalisa with sugar coated voice informed me that she and lanre were ''just good friends''. In that space of time their good friendship must have manifested into them becoming lovers....nice one. Before i start this memo,I must commend the two lovers for using the movie premiere of march 1,2013 to step out and make a statement...that shows at least that serial loverman lanre is probably thinking of putting a ring on it....abi?. Now let me start with you Lanre....you are the guy who has been around town and you have left behind a string of broken hearts amongst the female celebrities.....yes your lust to date celebrity women shows you only want to be known with the best...whichever one it is,na you sabi. Your relationship with beautiful Monalisa has been on for over two years.....the longest you have dated any celebrity female...did i calculate right? If your stepping out with Lisa means you have plans to put a ring on what you have been hiding,please 'sir' hurry up and do it,as i do not beleieve in delays...before one woman go wake up begin hallla say lisa thief you from her. I am sure you know monalisa's story of heartbreak with her first marriage....that she survived domestic violence and therefore should not be hurt in anyway. Waffy people say'at all at all na em bad'...hope you know what this means when applied to your stepping out hand in hand with monalisa? Two years is enough time to know if you want to marry someone. you both might probably do it secret,e no concern us.....just do it! Dear Monalisa.....you are as beautiful as your name suggests and no one can fault ya beautiful skin. I am thinking that you probably denied dating lanre in that interview about 2years ago because you were not so sure of him then and you didnt want to be branded with a man whose intentions were not clear.....I understand. Stepping out with him two years after has branded you his woman and from now on we will look at you like we looked at all the others whos hearts he broke. Enjoy your relationship and heres a high five for stepping out with the one you love...you no need to tell us anything,we understand every....just make sure you tie all the loose ends and dont let this man escape you oh. We await either the denial that you both attended as just very close friends holding hands or attended as business associates or make una close eyes marry make people like us comot eyes. Congratulations Monalisa....you are officially the first woman Lanre has so far stepped out with! E easy??? stella! stella! no dulling wit u at all! hahahahahahaha!